One of the reasons people often give for not choosing natural and organic products is that natural products have a higher price point than their conventional counterparts. Whilst generally speaking it is true that natural, wild crafted and organic ingredients all carry a higher price tag than many synthetics, you absolutely don’t have to break your budget to enjoy natural beauty and this is a message I am really passionate about. You can have a great natural routine using ethical and cruelty free brands that are affordable without any sacrifice in quality. Silvan Skincare Skin Therapy Face oil – (£16 for 50 ml) Silvan are a relatively new company with a range of small batch skincare and body care who are based in the Welsh borders. I have been using the Skin therapy face oil and have been very impressed, the first thing I love about this oil is the relaxing scent, a gorgeous blend of chamomile, bergamot, neroli and lavender as well as everlasting flower makes it fantastic for facial massage and a bit of pampering. Secondly the blend of plant oils used feels nourishing without being heavy on my skin, you have hemp oil, rosehip, safflower included, all great ingredients with demonstrated benefits. In a market with more and brands making outlandish claims, it’s always nice to find a product that does what it says on the tin, it calms, soothes and nourishes leaving skin happy. Face oils is an area where you can easily spend a small fortune, but there are great face oils like this one from Silvan that offer phenomenal value for money as this huge bottle will last months. Weleda pomegranate Creamy Body wash – (£7.95 for 200 ml) This is one of my all time favourite Weleda products. I have been using this for at least eight years, possible longer. I love all the scents but the pomegranate tends to be the one I come back to the most. As body wash is a daily product for most, you want to choose a brand with great ethics and ingredients, which is why I come back to Weleda consistently. The creamy body washes use gentle plant based cleansers, no SLS or other harsh foaming agents but they also have a high content of sesame oil making them really moisturising, which means you need less product after your shower. I also find them to work brilliantly as a shave cream which saves me space in the bathroom and money because they are a two in one product. Earth Conscious Tropical deodorant – (£6 for 60 grams) Just like body wash, deodorant is a daily staple and a product which you need to be dependable and functional but also nice to use. I have reviewed the Earth conscious deodorant before and I think it’s a brilliant brand, they have slightly changed the range and packaging since the previous review so it’s definitely worth mentioning again. You have several scents to choose from including lavender, citrus, unscented and also a vegan friendly range without beeswax. The packaging is plastic free and recyclable aluminium, so great for reducing waste. Earth conscious is a deodorant paste, you take a small amount and apply it with fingers. It lasts all day but importantly the formula is gentle and non irritating, the brand is now multi-award winning and it’s easy to see why. Alucia Organics Deep cleansing balm – (£20 for 50 grs) What a fabulous find this cleanser has been, it has gorgeous ingredients and features a really lovely sunny scent thanks to the lemongrass essential oil. This cleanser is certified organic by the Soil Association and has sweet almond oil, castor oil, beeswax, calendula and chamomile. I love this used as a cleansing balm, but it also works really wonderfully as a mask, I love to massage it on the skin in the bath and let the steam help the oils nourish and nurture the skin. Really great price for such a fantastic product. Lyonsleaf Complete oil cleansing kit – (£22 for Beauty balm and flannels and muslins) This little kit is a fantastic place to start if you are new to oil cleansing and makes a fabulous gift. 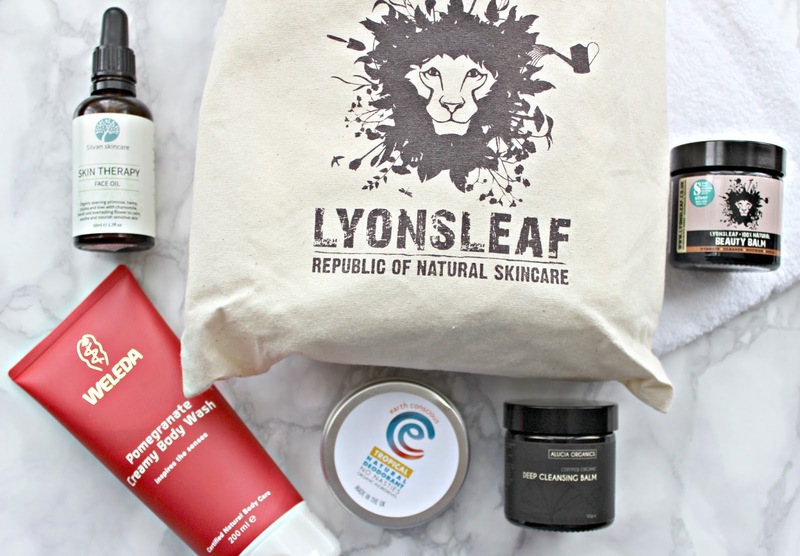 Lyonsleaf is a beautiful brand, they make really concentrated products with natural and organic ingredients but no water so you aren’t paying for fillers. The beauty balm is a brilliant multi-tasker because it can be used to cleanse, remove make up and as a moisturiser. It’s a vegan balm with babassu oil, shea butter, macadamia oil and sweet almond. It’s great for treating the skin to a really nice massage and gentle exfoliation with a cloth and I love the fact that the kit comes with gorgeously soft generously sized flannels and muslins for a little bit of extra exfoliation. Lyonsleaf is simply a brilliant brand and this kit is perfect for getting people washing their faces properly but the Beauty balm can also be used as a moisturiser and nourishing mask too. Such a great multi-tasker! These are five of my favourite great value beauty buys, If you have tried any of these let me know in the comments!